Ufford Park Hotel, Golf and Spa. It’s very close to Melton and offers the highest quality accommodation. Hotel guests enjoy access to the Ufford Park championship golf course, health club, thermal suite spa, and hotel bars and restaurant which, however, are also open to visitors. Seckford Hall. Another fine place to stay near Melton offers premium quality accommodation which can suit the needs of even the most demanding guests. All rooms are beautifully decorated and include all possible amenities for ultimate comfort and convenience. Widely regarded as one of the best country houses in the county, Seckford Hall also includes a restaurant, spa and three venues for various events and meetings. The Bull Hotel. If you are looking for something more modest but cosy and convenient, The Bull Hotel is definitely worth considering. Housed in a grade II listed building in the centre of Woodbridge, The Bull is a charming family run hotel which besides fine accommodation also offers meals, both a la carte and menu as well as breakfasts. Please note that there is no lift. So if you have difficulties climbing the stairs, ask for accommodation in ground floor. Grove House Hotel. 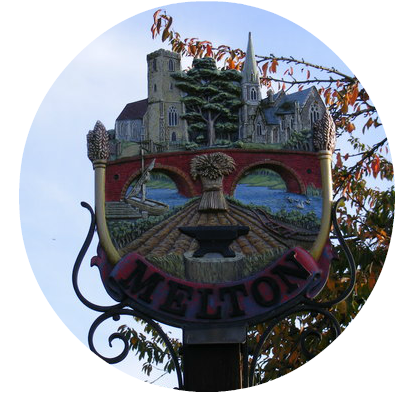 Also worth considering is this AA 4-star guest house, especially if you would like to feel like home away from home and at the same time, stay close to Melton. The guest house offers 10 beautifully decorated rooms which are equipped with all the necessary amenities for maximum comfort. And if you get hungry, you can order tasty home cooked meals and breakfast. Last but not the least important, the rates are highly accessible and include English breakfast. The Cherry Tree Inn. This hotel also offers accommodation at slightly more accessible prices than the luxury Ufford Park Hotel and Seckford Hall for instance. You can choose between three rooms that are located in a Grade II converted barn which, however, includes all the modern conveniences. The hotel is a part of the 17th century pub serving traditional pub meals plus 8 real ales.